The wish to create unique Vodka led Sido, the Berlin Rapper, and his long-time business partner Burkhard Westerhoff to Mostviertel Spirit’s distiller Josef Farthofer. 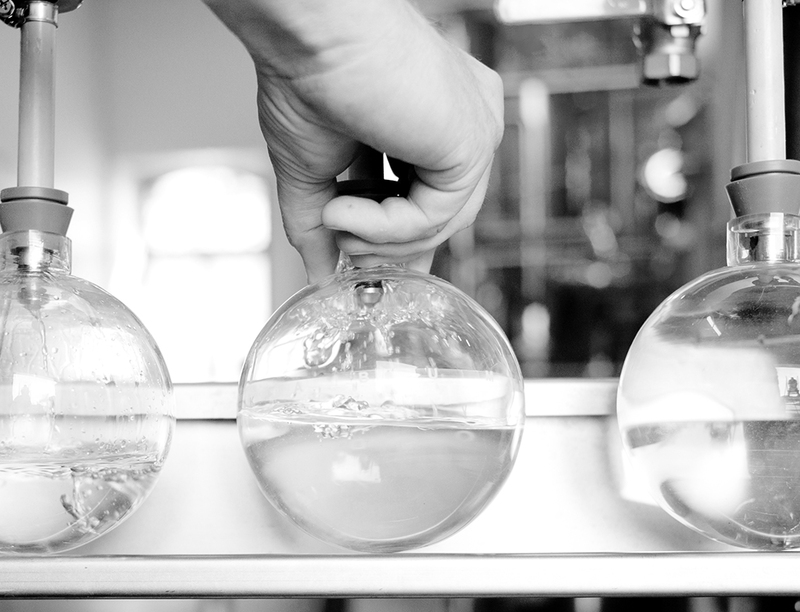 Josef Farthofer is a master at producing high quality crystal-clear organic spirits. All his products created in his very own mostelleria are clearly marked with passion, craftsmanship and naturalness. This includes the high quality O-Series, which O-Vodka was awarded the best wodka of 2012. Unconventional, imaginative, and passionate would be the right words to describe Josef Farthofer, indeed the same can be said of Sido. Burkhard Westerhoff completes the trio to fuse this creative cooperation marking the beginnings of a high percentage german-austrian liaison. 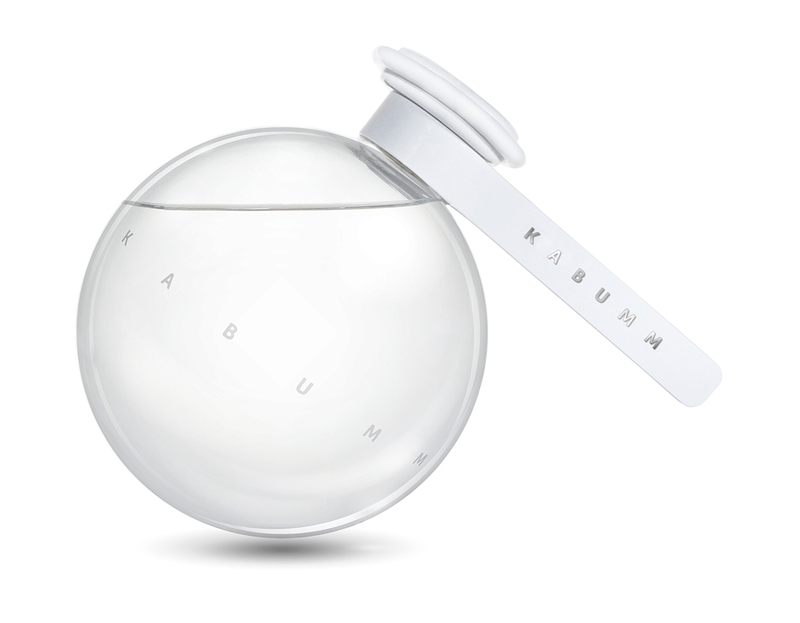 KABUMM Vodka has a fresh, discreet, delicate grain aroma infused with citrus notes that is pleasantly warm and snug. This Vodka combines an oat-like spiciness with a malt-like sweetness. An extremely clean and pure filigree flavour that pampers the palate with a slightly fruity and mild exotic taste. A pleasant, light and tender taste. Gentle, calm, and rich. It develops its entire aroma spectrum especially at room temperature. A pure and untreated Vodka. Out of the ordinary in taste, 100% natural. A statement of sustainable distilling-art. Drinking KABUMM Vodka means appreciating the out of the ordinary. Each and every step of the production is handmade with maximum precision and the highest quality at every stage. 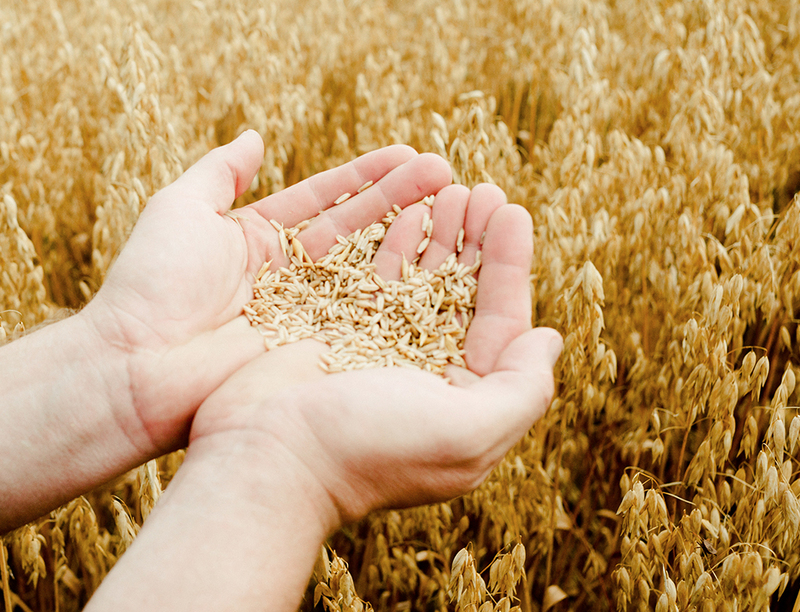 KABUMM is produced from very rare Mostviertel hulless oats, and mild winter grains, a perfect example of sustainability. It is worth taking time to enjoy the flavour of this exceptionally superior Vodka with its full aroma. In the course of the delight delicate fruit flavours simulate a creaminess which gives KABUMM its pleasant high quality balanced taste. Those who choose to enjoy KABUMM Vodka, need to take quality time to do so. Every drop is a fascinating experience that touches all of the senses. KABUMM Vodka consists of only two ingredients: water and grain. The crystal-clear water comes from a family owned spring in Mühlviertel located in the north of Austria. This water rises from granite soil formation and is particularly mild and exceptionally soft. One type of grain used in KABUMM is hulless oat. This very old and rare plant was re-cultivated in Mostviertel, completely left in its natural untreated form. 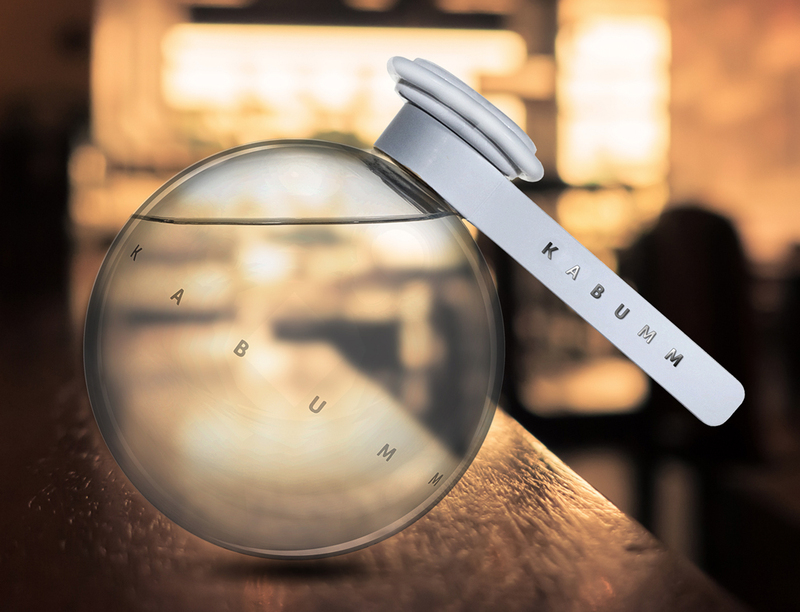 A very special and unique character is added to KABUMM Vodka due to the high fat content of the grain. KABUMM Vodka also owes its special note to the ingenious native winter grain recipe. Hulless oat and winter grain are both finely ground, mashed, and slowly fermented before the distillation process undertaken with utmost care and finesse is carried out for up to 30 times. 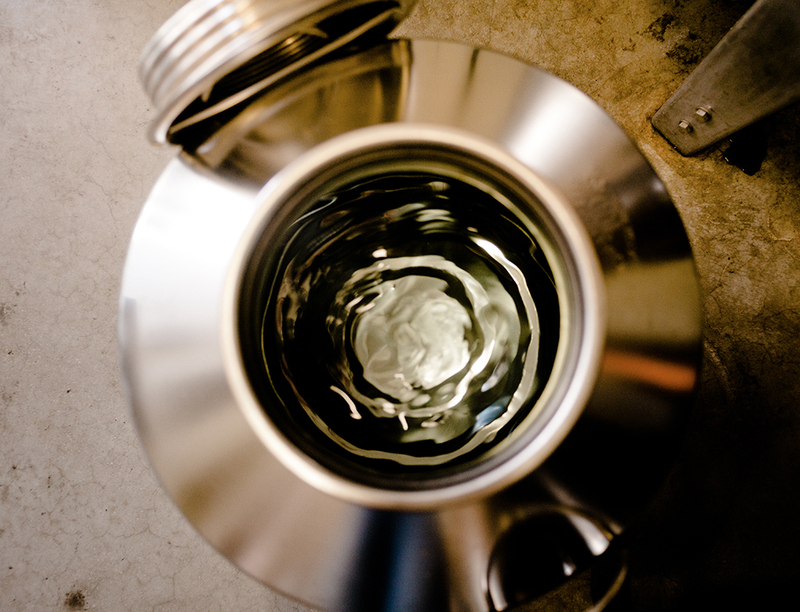 Only then is the distillate ready to be filled in stainless steel vessels where it can take the quality time it needs to develop its full character. After the distillate has reached the right degree of maturity it is then brought together with the mineral water to obtain the demanded drinking strength. The granite water comes fresh from the springs and unlike other wodkas it doesn’t go through activated carbon filters. Captivating. Simple. Flattering when held. A careful selection of ingredients, combined with high quality processing. 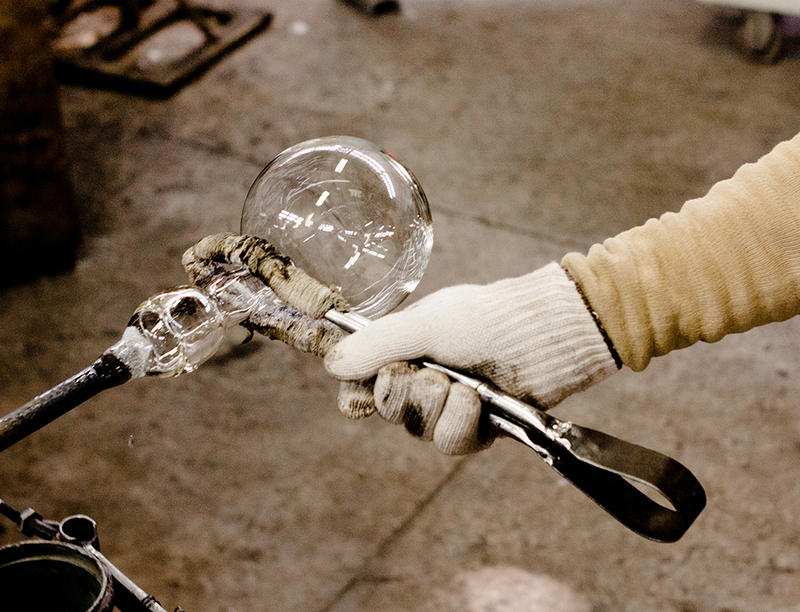 A stylistic idiom meets mouth blown handcrafting tradition. Sido, Josef Farthofer und Burkhard Westerhoff designed a bottle that leaves its high-quality content room to unfold. The result: A modern masterpiece, brilliant in style and shape. The massive round bottle reminds one of a bomb that holds KABUMM Vodka with style.